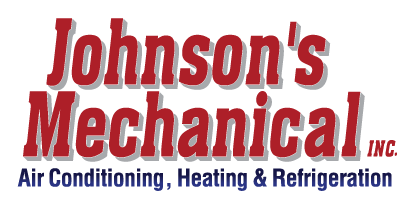 Ventilation, Winter Haven, FL | Johnson's Mechanical Inc. Ventilation, Winter Haven, FL | Johnson's Mechanical Inc. In order to avoid future concerns with your ventilation in Winter Haven, we may recommend a routine maintenance plan. There are a number of indicators that your ventilation system may need attentions – weird smells, poor air circulation, and strange sounds can all be signs that something is wrong. When you are experiencing issues such as these, you may be wondering if you can handle a quick fix on your own or if you should call a professional in to check things out. At Johnson’s Mechanical Inc., we believe your HVAC system should keep you comfortable all year long, and when your ventilation system isn’t doing its job, it can affect your comfort and your utility bills in Winter Haven, Florida. While regular ventilation cleaning is the best way to keep your system running smoothly from year-to-year, we know this isn’t always at the top of your priority list. Luckily our experienced team can troubleshoot any issues and provide quality workmanship that gets your vents blowing properly again. Once we’ve completed ventilation repairs and servicing, you’ll notice an improvement in your indoor air quality and the energy efficiency of your home or business – and ultimately, that saves you money. In order to avoid future concerns with your ventilation, we may recommend a routine maintenance plan – but we’ll never up-sell you on our services unless you ask us for more information. At Johnson’s Mechanical Inc., we have been providing residential and commercial heating and cooling services since 1982, and we firmly believe you’ll see the difference when you choose our company. We provide 24/7 emergency service, fast and reliable repairs, and we service all major brands, regardless of where they were purchased. Contact us today to learn more about our ventilation services. Your satisfaction is our number one goal, and we know you will be pleased with the results.